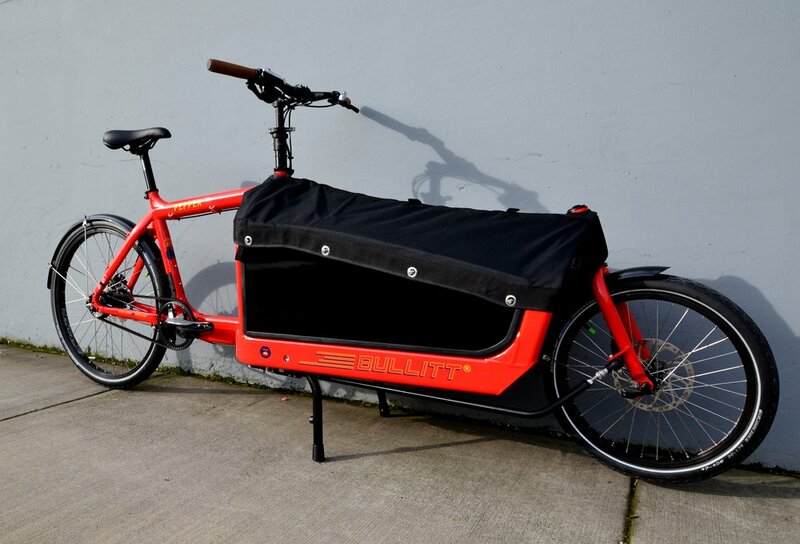 We have dozens of Bullitt cargo bikes in stock! When it comes to great selection, we aren't messing around! 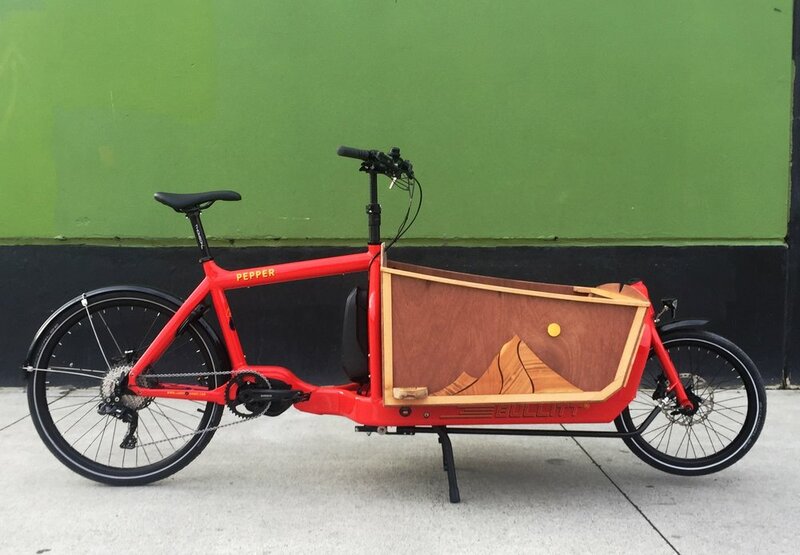 Splendid Cycles has North America's largest inventory of Larry vs Harry Bullitt cargo bikes from Copenhagen, Denmark, AND we can ship! 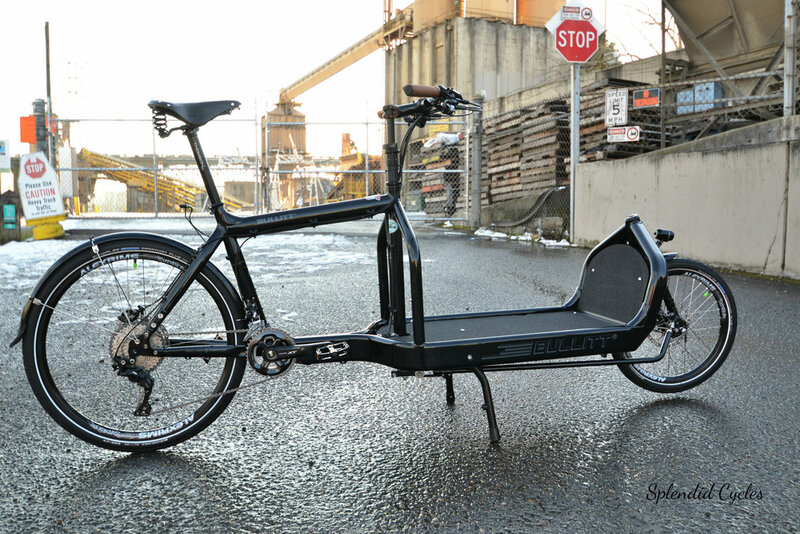 Whether you're looking for a family bike or a work bike, it's hard to beat a Bullitt! 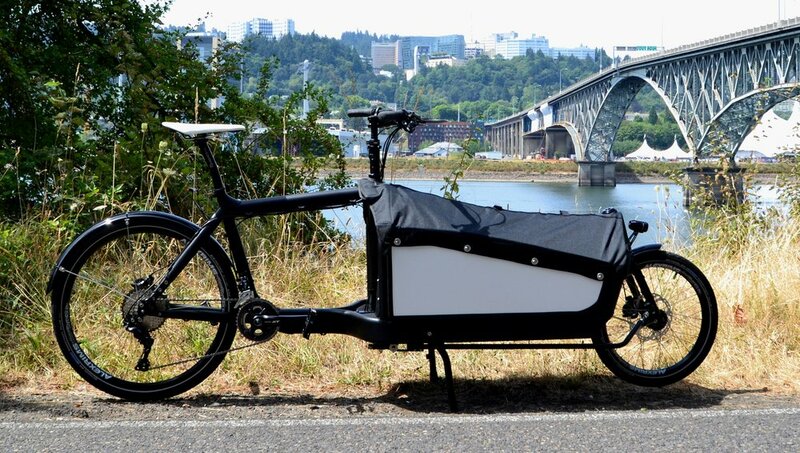 With Danish ingenuity and superb engineering Bullitt bikes have a unique cargo bike combo of being lightweight (see weights here), easy to ride, and built to last a lifetime. 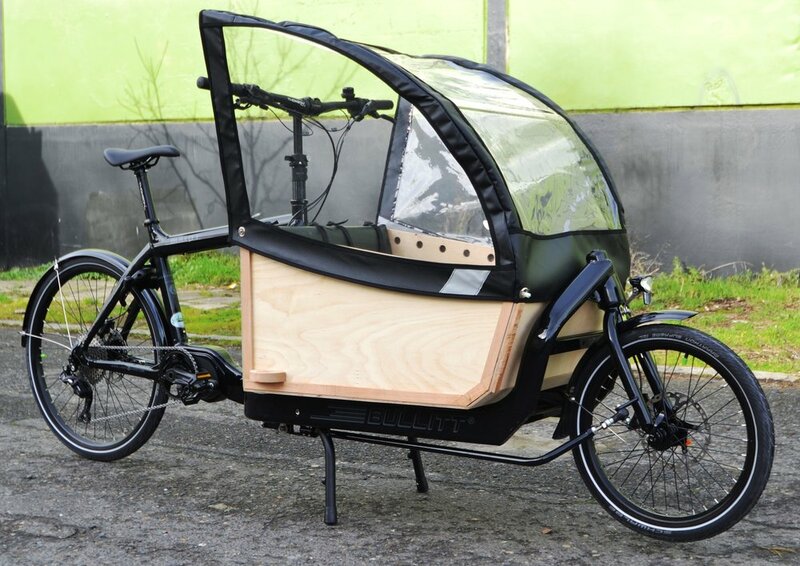 Using modern frame building techniques and the latest Shimano components, Bullitt cargo bikes are a thoroughly modern interpretation of an older and tested bike design originating in Denmark. 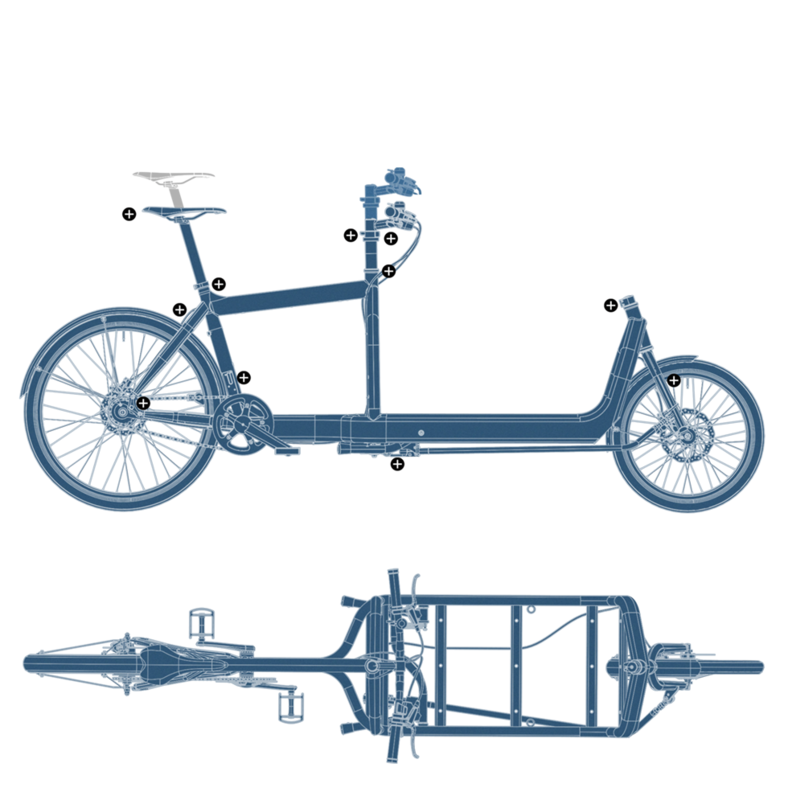 With its rigid frame it is especially stable under load. This is THE LvH Bullitt frame from Copenhagen but built up with a Splendid flair. This option offers several opportunities to customize your parts kit. 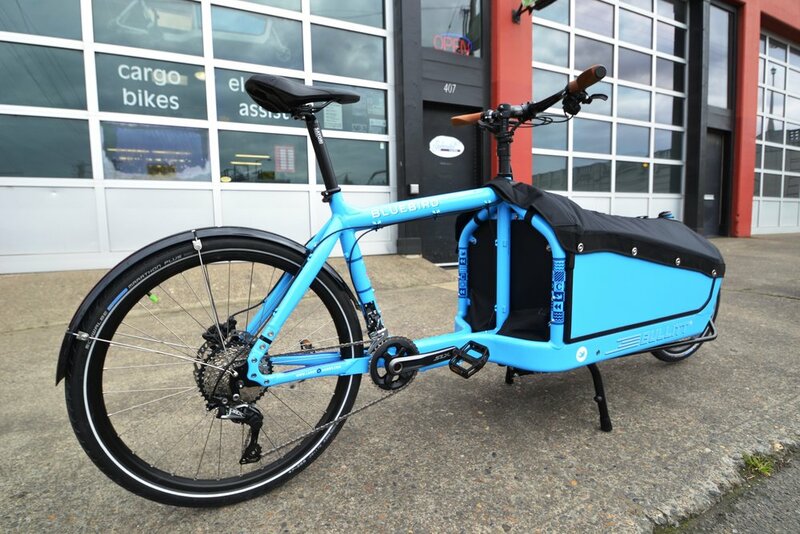 Complete human-powered Bullitt bikes include a ready-to-ride bike with fenders, pedals, and your choice of the following internal or external gearing from one of our stock packages. 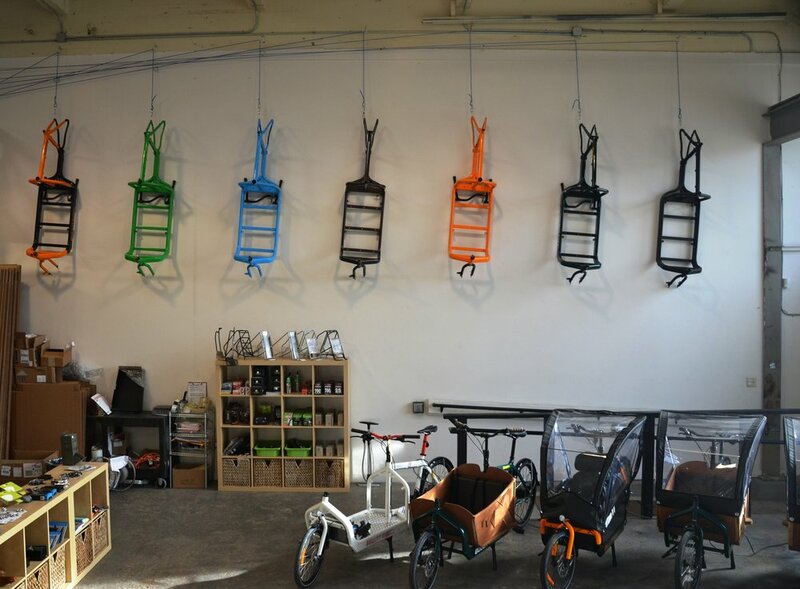 Each bike is also built-to-order and that means lots of extras that make a difference! 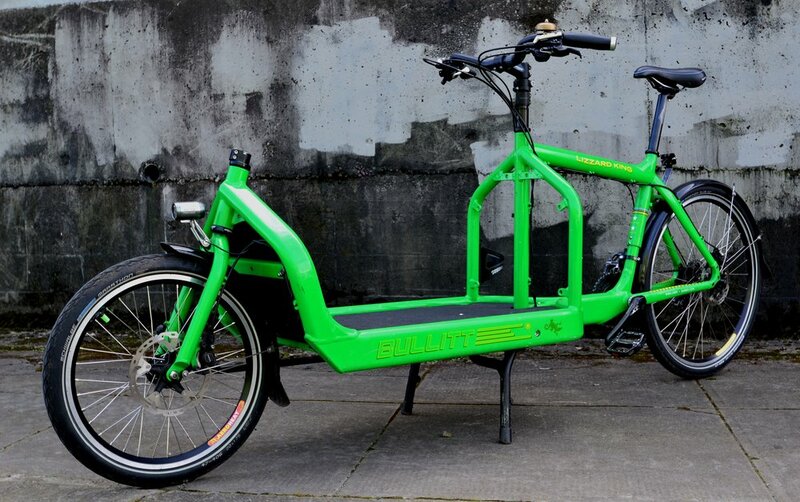 Find out why to buy a custom Bullitt from Splendid Cycles further down the page. Click on images below for complete spec information. Includes: frame, fork, steering column, steering arm, kickstand, 2 FSA headsets, and choice of dropouts style. 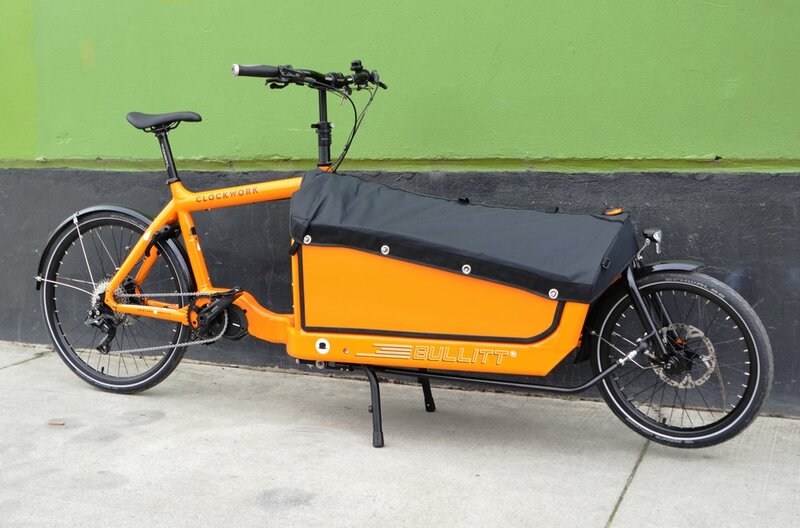 Why buy a Custom Bullitt from Splendid Cycles? 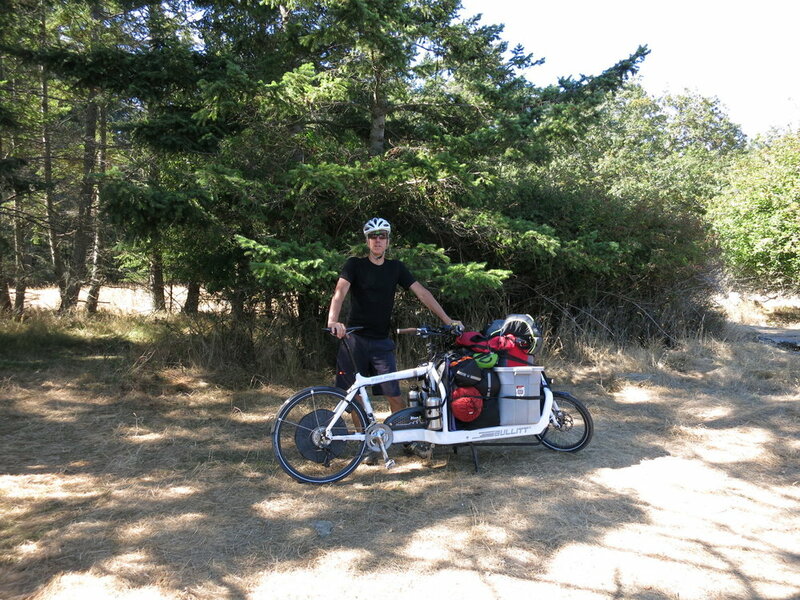 We also have a selection of Portland-built cargo boxes available only through Splendid Cycles and its affiliates. 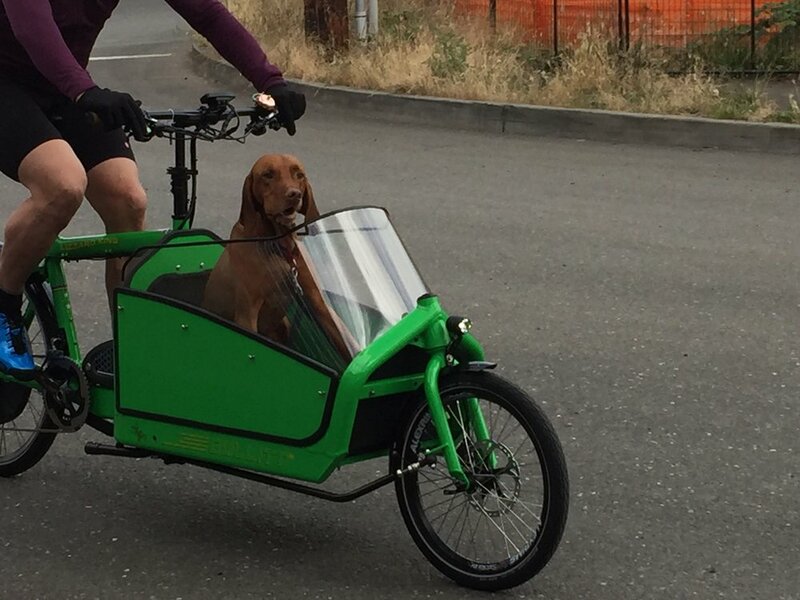 Because a Bullitt is so fun to ride, you will be inspired to park that car and ride it every day! 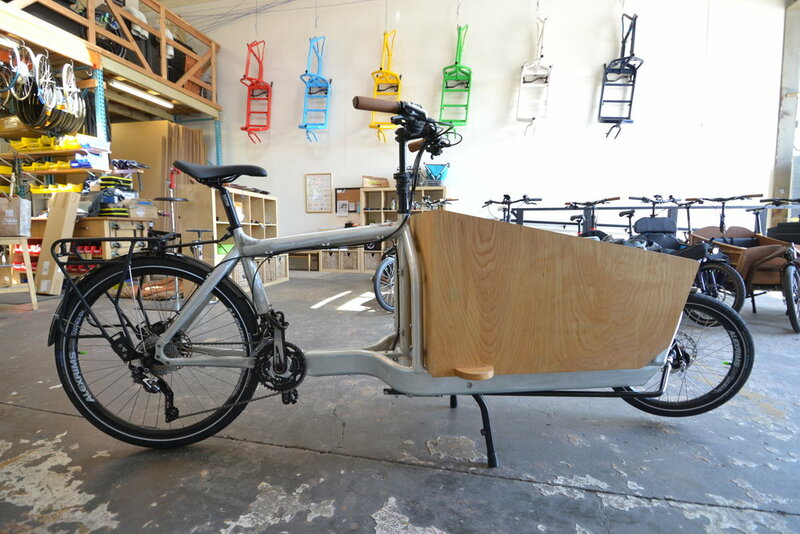 So drop in and check one out, take it for a ride, and see why the Bullitt is Denmark's #1 new cargo bike. 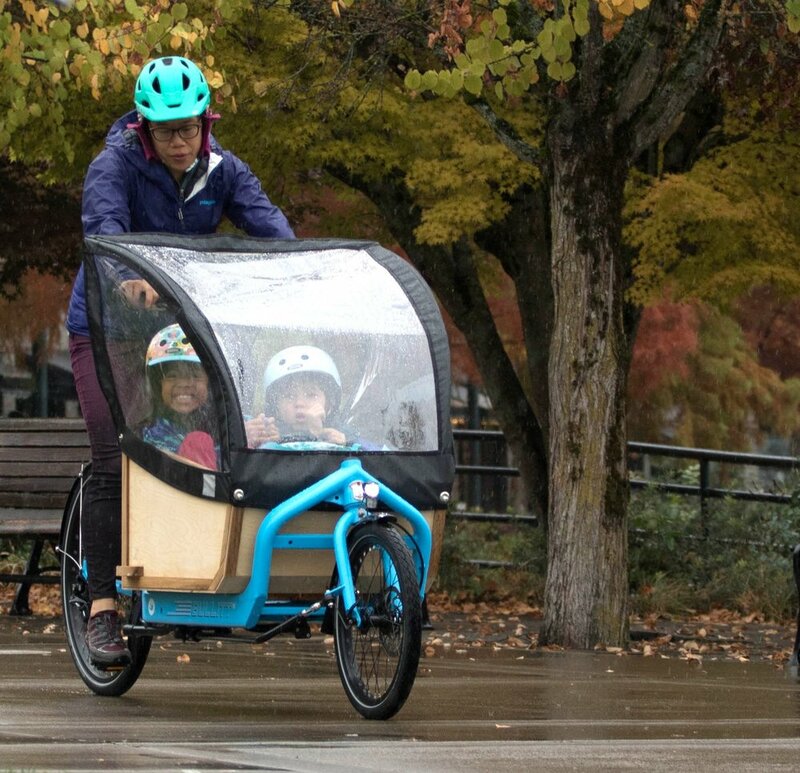 That means you not only get a high-quality, light-weight (most Bullitts we sell weigh about 70 lbs), durable, and fun-to-ride cargo bike, you also support several small businesses AND at a great value. 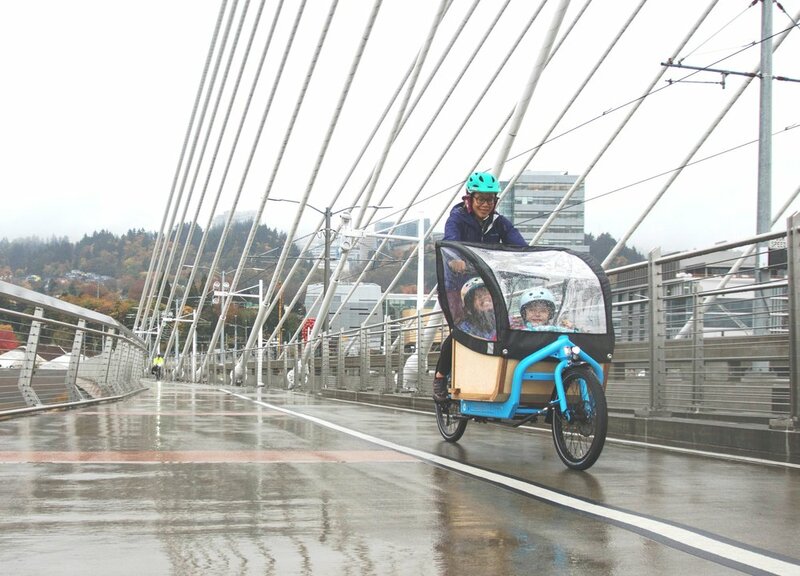 A ready-to-ride Bullitt with seating for two kids starts as low as $4100! 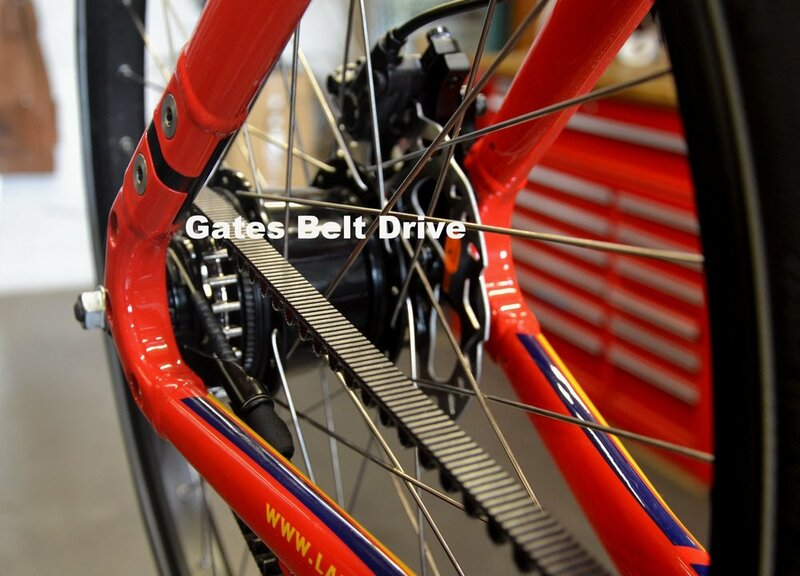 including several extras such as hydraulic disc brakes, Schwalbe Marathon tires, and Slime self-sealing inner tubes. 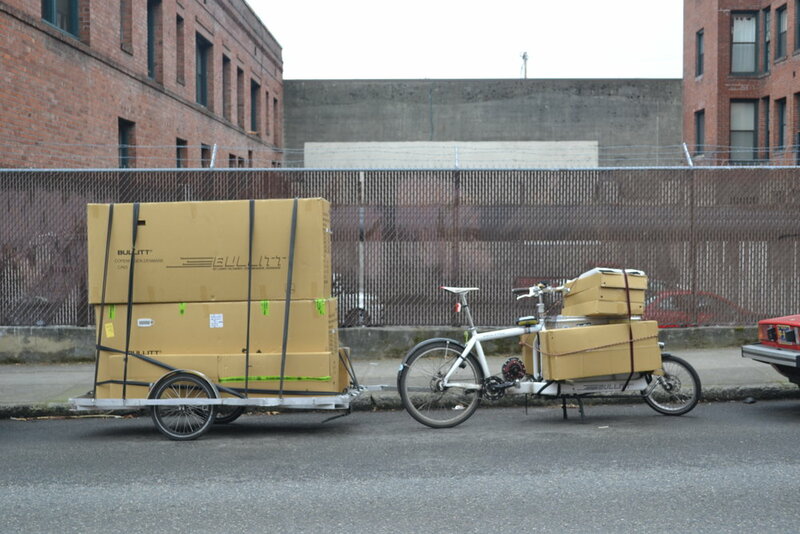 Compare that to other cargo bike brands and you'll see why we're so enthusiastic about these bikes. *The STEPS Bullitt comes complete from the factory so it is an exception and has factory-built wheels.